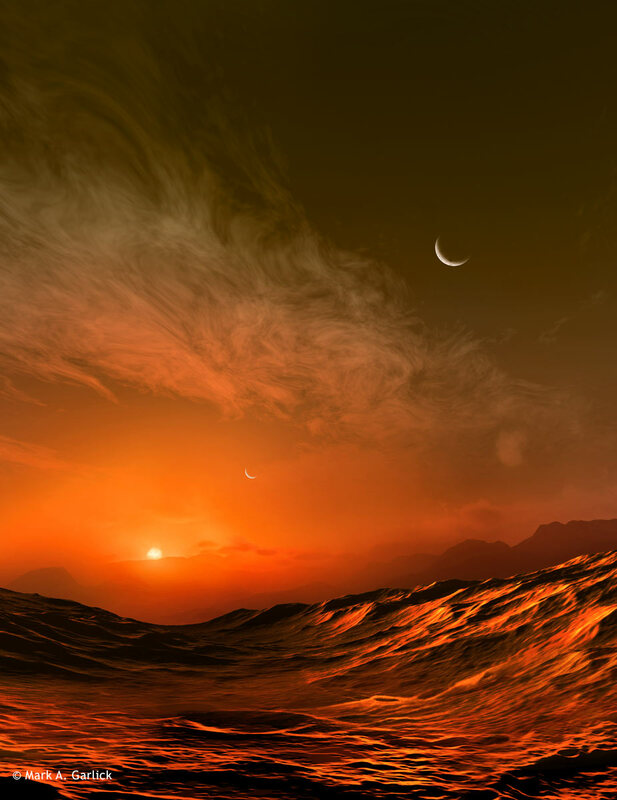 Two very different possible scenes showing the landscape of the newly discovered exoplanet, Barnard’s Star b. Digital works created in Photoshop and 33d Max. This artwork is copyright © Mark Garlick. All rights reserved.